Coming next year to PS4, Xbox One and PC, Naruto to Boruto: Shinobi Strikers is a team-based online battler that files the many ninja of the Naruto-verse into four categories: attack, ranged, defense and healer—AKA rogue, wizard, warrior and cleric. Don’t worry, all of them kick and punch. 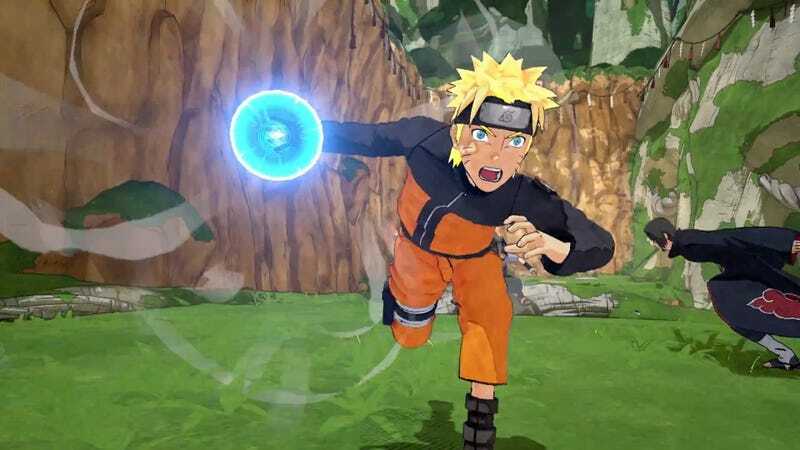 Naruto to Boruto: Shinobi Strikers is a big departure from the Ninja Storm series, trading story-rich one-on-one 3D fighting for four-on-four team battles in large open arenas. Competitive modes see two teams of four players each competing to unlock and attack massive bosses or capturing flags. Cooperative missions have players working together to complete various goals. It’s basically a hero brawler. It sounds a little Battleborn-ish to me. Before players can be born into battle, they’ll have to pick a character. Will they be a speedy, high-damage attacker? A less-sturdy ninja assaulting their enemies with powerful long-range abilities? Or will they support their team through healing ninja arts? Check out the new trailer for the game for a look at the classes in action, as well as an overview of the various game modes. It’s nice to see Bandai Namco trying something new with Naruto. I would have rather seen it get the 2D fighter treatment a la Dragon Ball FighterZ or another exploration-heavy fighting RPG, but it’ll still be a nice break between those torrential Ninja Storms.